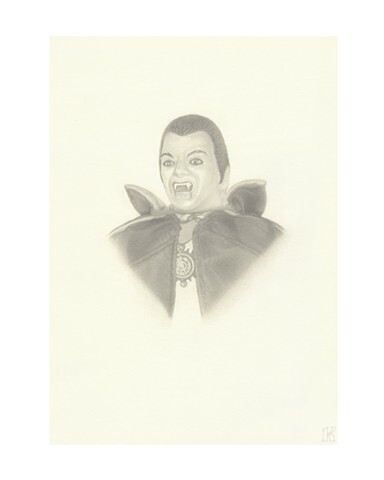 This image is of the actual giclee print you will receive when ordering Dracula. Price includes shipping and handling charges and all applicable taxes. Artwork is packaged in an attractive collector's envelope between an acid-free protective overlay and backing board, and includes an illustrated information sheet filled with fun-to-read details about the toy. All contents are guaranteed to be mailed flat in a durable, "Do Not Bend" marked document envelope. This edition welcomes new deluxe printing by A Work of Art by Debra Halprin. See other examples of Ms. Halprin's talented work at www.halprinart.com!